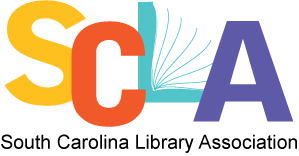 South Carolina Libraries is the official journal of SCLA. South Carolina Libraries is an open access journal hosted by the University of South Carolina Scholar Commons. ABOUT THIS JOURNAL: South Carolina Libraries publishes information relevant to SC libraries and librarians, as well as materials in the field of librarianship in general. Authors are invited to submit articles, news, innovations, columns and book reviews for consideration. Two issues (Fall/Spring) will be published annually beginning in the fall of 2014. SUBMISSSION OF MANUSCRIPTS: Articles can be submitted directly through the South Carolina Libraries website. Simply click on the “Submit Article” link to the left of the page and follow the provided directions. During the process you will be able to select the type of article you are submitting. If you have any questions or suggestions about the different article types, please email the Editor listed below. If you have questions or suggestions about book reviews, please email the Book Review Editor listed within the book review submission information below. Submission deadline for the spring issue is December 1. Submission deadline for the fall issue is August 22.
WHO MAY SUBMIT: Submissions are sought from anyone with a vested interest in libraries in the state of South Carolina from all types of libraries: Academic, K-12, Public, Special, etc. Both peer-review AND non-peer-reviewed articles are welcome! STYLE: Articles should follow the guidelines in the Publication Manual of the American Psychological Association. LENGTH: 1,000-2,500 words; we can be flexible depending on the scope of the article, and provide exceptions if warranted. IMAGES: Photographs, illustrations, graphs, etc. may be submitted with the article. FORMAT: Articles should be double-spaced and written in Microsoft Word, and please include a 100-word abstract. PERMISSIONS: Authors will be asked to fill out a Permission to Publish form before their article can be published. STYLE: Book reviews should follow the guidelines in the Publication Manual of the American Psychological Association.